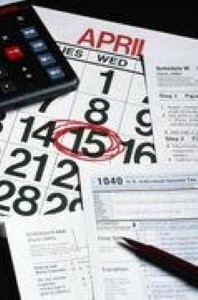 Tax day – April 15 – is quickly approaching and many people have already completed their 2009 returns. Some lucky individuals are looking forward to actually getting money back from the government in the form of a refund as well. While many fathers’ first instincts may be to frivolously spend the money on a "necessity" like a big screen plasma TV, there are better, smarter ways to spend it. Financial experts say if you don’t already have an emergency fund, coming into some unexpected extra money is a good time to start one. These easily-accessible savings accounts are needed for all of those "just in case" situations like the loss of a job, an illness, a broken car or even a big household repair. Advice on how much is enough vary, but generally experts say between three months to one year’s worth of living expenses is ideal. Another smart way to spend a tax refund is to pay down your debt. This includes paying off any outstanding credit card debt and even paying an extra payment towards your mortgage or other outstanding loans. Putting extra money into your retirement account or your children’s college funds are also great ways to spend extra money. Treating yourself and your family is also important, so if at all possible, designate at least a portion of your refund to doing something fun together.